Every yearhome the fashion for suburban housing and suburban buildingand gaining momentum. There is nothing strange. Spending the day in noisy, dusty, dirty city, many people want to find yourself in nature and therefore are buying acres of land, build a cozy houseICA, all prosper. Furnished holiday accommodation should be the embodiment of all the virtues of suburban life, where nothing reminds of the various problems. 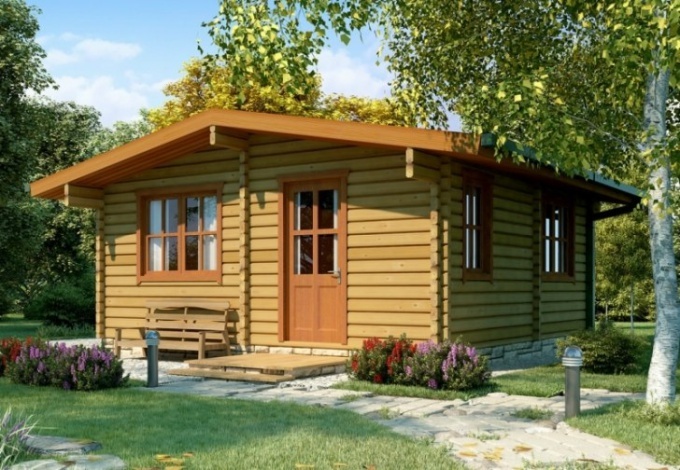 Don't forget that the arrangement of the country houseand involves the creation of conditions under which cottage you will be comfortable not only to work but also to relax. The more time you spend in town,the house, the more serious you need to approach this issue. Picking up the pieces of furniture, remember that they should combine beauty with practicality and durability, because in your absence in the housee may be less warm and dry than in the ever-heated city apartment. In most cases, country house isthe IR after the purchase of the needed repairs. Its interior decoration needs to create comfort and evoke pleasant emotions. Try to approach everything creatively. Upon entering the room, place a rubberized Mat for shoes, put a small bench, take a clothes hanger. Brought all the furniture carefully wipe the dust, clean from stains and mask scratches. If the Cabinet door left without glass, you can hang a small curtain that will hide all content. Plain view of the couch in the living room hide the ornate case, and of the remaining original fabric sew curtains. Show all their imagination and get to work. First organize the bedroom to ensure complete relaxation in a country environment. In the bedroom put a small bed, a shelf for various items and a large wardrobe where you will put all things. If you have a large family, then be sure to take care of a decent bed for each person. Pay special attention to the kitchen. There should be an assistant, without which no cost, no modern hostess. The most important is the connection of the appliance must be installed in full compliance with the requirements of the user. Equip for her special place. Don't forget about the large table, which will be held seed tea. Be sure to organize in Dome sanitary room, take a shower. Connect the heater to provide flow of hot water to the kitchen and in the shower. It is also possible to install a washing machine and a composting toilet.